I flew to Malta to take part in a performance of Handel's Messiah with the Goldberg Ensemble; an ensemble based in Malta. 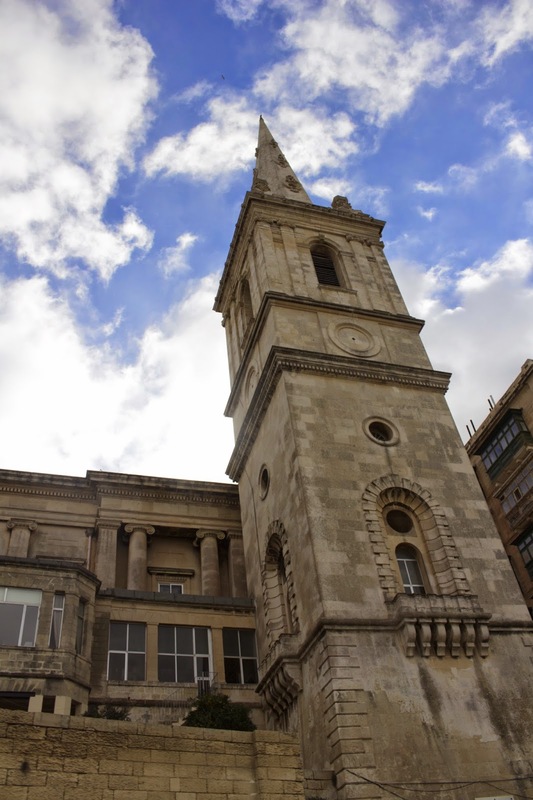 The concert was held in the Anglican Cathedral - St Paul's Pro-Cathedral - in the capital, Valletta. 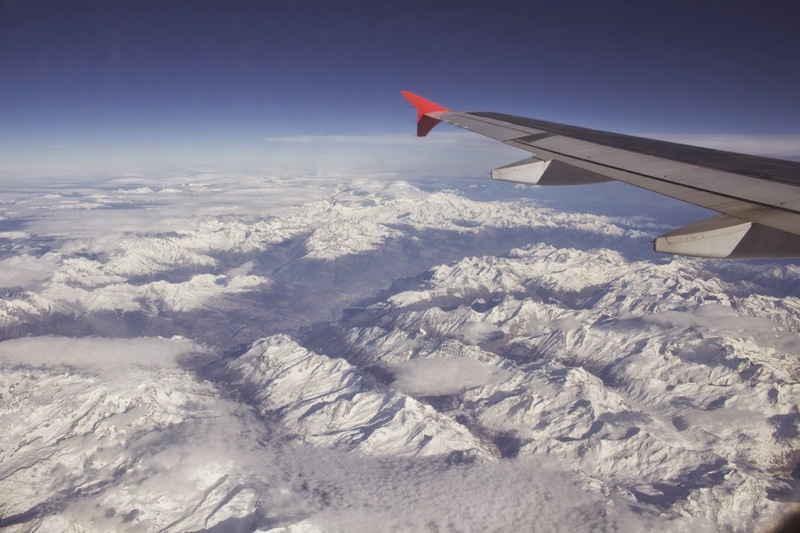 I departed from Gatwick Airport - remarkably all the passengers and bags were loaded ahead of schedule, so we departed 20 minutes early - and Air Malta transported me the 1283 miles to Malta International Airport, with stunning scenic views over the Alps and coastal views of Sicily along the way from my left-side window seat. Upon arrival, I was met by the leader of the orchestra and taken to the rehearsal in the Anglican Cathedral. Experience has taught me to bring plenty of reading material for Messiah rehearsals, as there are only a few numbers that involve the trumpet. This rehearsal was no exception and I worked through a new issue of Digital Photography magazine, which kept me occupied between my entries. The ensemble rehearsed the whole oratorio in concert order. The rehearsal had started about 5pm and it finished at about 10pm. I was amazed by the concentration that everybody maintained. They did the first two and half hours without a break! When the rehearsal finished I realised that this would, in fact, be the only rehearsal - meaning it would be a free day tomorrow until the concert. This led me to quiz the locals in order to find out about the various sightseeing options for the following day. My only commitment for Sunday would be the concert, and a lift had been kindly arranged from the hotel in Sliema at 6PM. I have been to Malta once before. I came in January 2013 to perform Bach's Brandenburg Concerto No.2 in the Valletta International Baroque Festival with New Century Baroque. Back then, I had time to go sightseeing very early one morning before my early afternoon flight home. On that occasion, I visited the ancient capital of Mdina. That was well worth seeing. I was pleased that Mdina came out at the top of the list of recommendations I was now being given by various members of the choir and orchestra. So I had to re-word my question in order to ask people what their second favourite attraction would be. 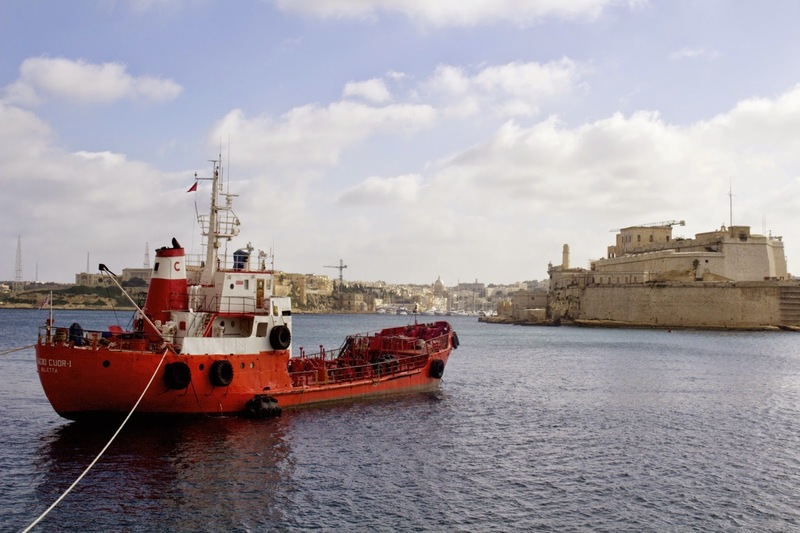 The most frequently occurring was visiting the so-called Three Cities - the fortified cities: Cospicua, Vittoriosa, and Senglea. I had hoped to take a water taxi around the harbour on my way to the Three Cities, but it seems that this is a seasonal service. Instead I travelled on an open top bus to Vittoriosa, one of the Three Cities. I had a walk around the picturesque docks and admired some of the superyachts moored there. The views looking over the bay towards Valletta were spectacular. It looks even more impressive from sea level as you can really see the imposing scale of the fortifications. Terraces of sandstone buildings adorn the cliffs down to the waterfront and there is a sense that everyone has a good view of the bay. After lunch, I rejoined the bus and followed the route around to Marsaxlokk and then to Blue Grotto: an impressive spot in the south of the island, with a spectacular viewpoint of the coast on the Mediterranean Sea. The tour eventually returned to Sliema (where I was staying) via a winding road which followed the contour of the coastline. It was interesting to see the bays and inlets of the coastline to the North of Sliema. I took hundreds of photographs on the tour. It was great light for photography. I left the bus and returned to the luxurious Palace Hotel. I still had an hour and a half before I needed to go to the concert so I enjoyed a swim in the indoor pool on the seventh floor. It must have taken some engineering to have a swimming pool on the seventh floor. It was great to swim and watch the sun go down. I relaxed in the steam room for a bit which was a nice way to prepare for the concert. The Palace Hotel was magnificent and they had kindly sponsored the concert by providing rooms for the visiting musicians: myself and the tenor soloist, Nicholas Mulroy. We left the hotel at 6pm. Despite the severe winds, people still came to the concert in large numbers. The normal seating had been sold out before the day of the concert and the Goldberg Ensemble allowed audience members who bought tickets at the door to sit in extra seating in the choir stalls, behind the orchestra. It was a really packed house. The concert was excellent and the audience demanded an encore, so we repeated the Hallelujah Chorus, which brought the concert to a triumphant end with the full forces of the choir and orchestra. It was enjoyable to play with this small ensemble which consisted of just one string player per part. It was quite an achievement for the violinists in particular to play the whole Messiah without a section to assist them. Congratulations to all. The whole project was fantastically well-organised and I was very well looked after during my stay. Many thanks to the organisers for their excellent planning. I hope to return to Malta again one day soon, as it is a really special place - definitely worth visiting again. It was great to make music there and it is a really interesting place to take photographs too.